Sue Williams, QPM, is an international independent kidnap response expert, who spent 32 years as a civil servant in the Scotland Yard, where she ended as Head of the Hostage Crisis Negotiation Unit, prior to starting her own company as an independent consultant. 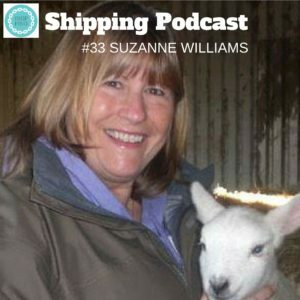 Sue has been involved in hundreds of hostage situations including piracy attacks and she walks us through the various stages of an attack and how to prepare for the worst before it happens and practise! Did you know that there is something as awful as fake kidnappers who try and parasitize when they learn about an ongoing hostage situation?! As a Crisis Management Team, you have to detach yourself from emotions, which isn’t easy, but crucial in order to achieve the ultimate goal, to get the people back, sound and safe. There is no greater feeling than to be able to bring back someone to their families, says Sue.